Earlier in the Photo of the Week series, we saw how Vortex Bladeless is offering a radical new way to harvest wind energy. But in the solar energy sector a lot of innovation is going on as well. The Swedish firm Ripasso is building what it claims to be the most efficient solar electricity system. 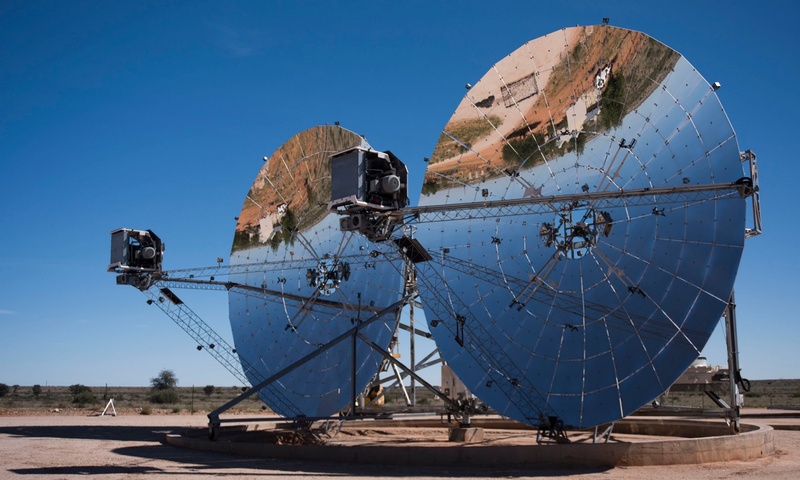 In the South African Kalahari desert, giant parabolic mirrors follow the track of the sun and focus the rays in a small point where it drives a Stirling motor. That’s an invention dating back to 1816, but up to now it has mainly been used in military submarines although it can have much higher inefficiencies than classical combustion motors. It has no exhaust or inlets and works solely on the heating and cooling cycle of an internal fluid. Ripasso took this Stirling motor to South Africa where it is now able to convert solar energy to electricity with an efficiency of 34%, significantly higher than the 23% at best of other solar systems available today. Although it was not easy to convey banks their technology can fulfill its promises, Ripasso has now enough funding to start its first commercial-scale installation. Photo of the week: Did Elon Musk just start a new revolution? 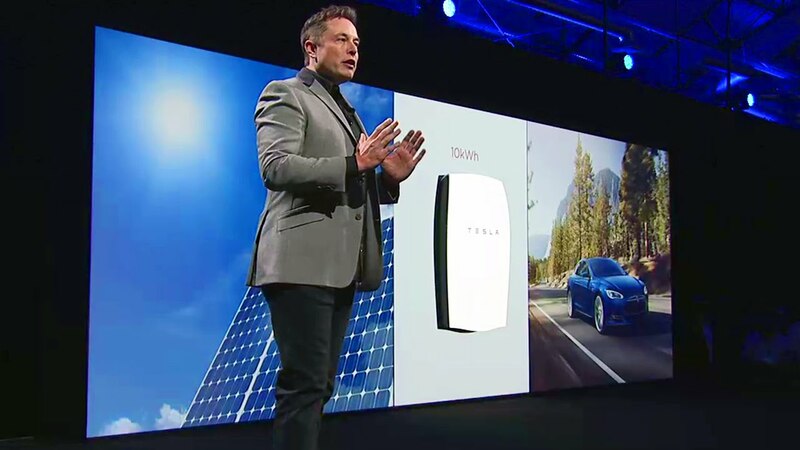 Last Thursday, Elon Musk presented the heavily-anticipated Powerwall – Tesla’s scalable battery which Musk believes could revolutionize the way we consume, produce and store energy. The largest barriers today for solar and wind power are the well-known villains: sun doesn’t shine 24 hours a day, nor does the wind blow whenever we would like it to. For years, scientists and engineers are searching furiously for a solution to store renewable energy to match electricity production from renewable sources with electricity demand at every given moment. Batteries, hydrogen storage, compressed air storage… many scenarios are being investigated at the moment and no-one found a decent cost-effective solution, yet. And then came Elon Musk, CEO of Tesla, SpaceX and other ambitious companies. No surprise his keynote last Thursday has been followed with enormous interest. The Powerwall is a lithium-ion battery starting from 7kWh at 3000$, but is infinitely scalable which means it both targets families and companies. Musk believes Powerwall makes it possible to go off-grid, which means families or companies become fully self-sufficient via a combination of renewable energy generation and storage with one or more Powerwall devices. But what is the real innovation behind the Powerwall? That’s a bit unclear up till now. Besides the fact the battery is cheap thanks to the Gigafactory that will build them, it is still good’ol lithium-ion technology. 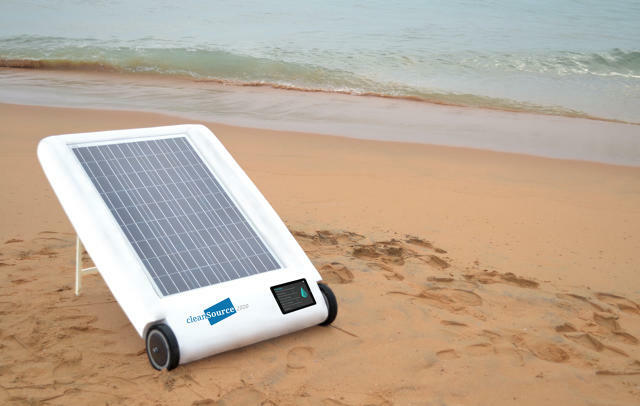 And going off-grid is easier said than done. Keeping a local grid at the right frequency (50Hz in Europe, 60Hz in US) is not easy. It is vital though for correct operation of computers, domestic electronics as well as industrial machines. For now, it seems people are willing to give it a try: 5 days after Musk’s keynote he announced they reached a total of 38 000 pre-orders. Seen as a bad omen by old cultures, the solar eclipse last Friday was enough reason to make some people worrying. 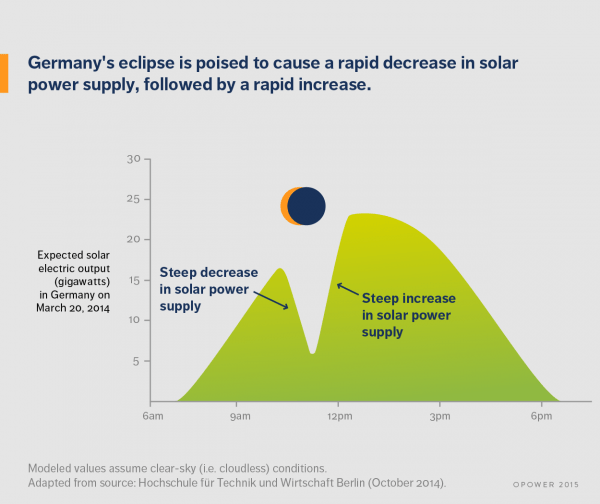 Germany, highly reliable on solar energy generation, faced a serious challenge. The country has around 37gigawatts installed photovoltaic capacity -a typical nuclear reactor is 1gigawatt. In a timespan of 75 minutes, solar power output of 21.7 gigawatts dropped to a low point of 6.2 gigawatts. When the eclipse was over its apec, the output increased again with 15 gigawatts, according to TenneT (one of the four transmission net operators in Germany) this is triple the usual rate. This effect was enlarged because the eclipse started in the morning when insolation (amount of sun rays falling on earth’s surface) was not so high, but ended around 11:30 AM when insolation is much higher. The whole effect was amplified because of the bright weather that day. Thanks to careful preparations, the German grid didn’t experience any problems. They put alternative power sources including coal, gas, biogas, nuclear and hydroelectric energy pumped from storage in action to fill in the gap. Some big industrial facilities such as aluminium plants, which are very energy intensive, temporarily lowered their demand. The solar eclipse was a unique test which is relevant for all of us, since we’re going towards more sustainable energy generation which make us more vulnerable to changes in nature. But there’s nothing to worry about -the German engineers have shown we can handle it.